There’s a photo of DeDe on the bookshelf. It was taken at the vet’s office the same day she was diagnosed with cancer. It’s been almost six months since she journeyed on. In many ways, we’re doing just fine. We have a regular routine, and we stick to it. But then things happen that make me remember how much I miss her. Like when a cat pukes on the rug, and I rush to clean it up, then realize that DeDe’s not here to try to eat it. Or when I find I just can’t make myself go to the local pet store, because that’s where I bought DeDe’s special food. And when neighbors shoot fireworks, and I have to remind myself that I no longer have to worry about a fearful dog. Treat time is not the same. It’s not just me. Rumpy, who’s been a generally healthy dog, has had two infections since her death. And Bubba has gotten worse, though he still holds his own. 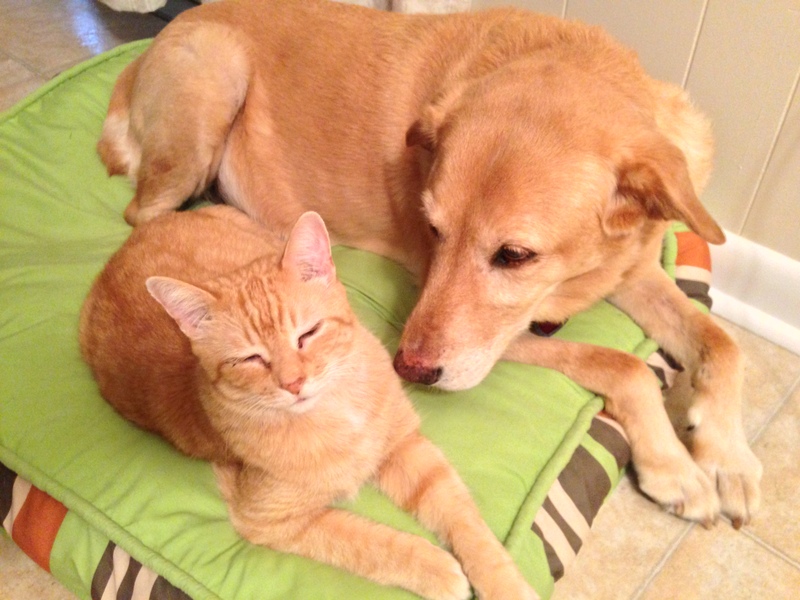 He has become friends with Rumpy, but it’s nothing like the friendship he shared with DeDe. This was a common sight in our home when DeDe was with us. Rumpy has been a wonderful dog for me in that he’s forced me to make many changes I wouldn’t have otherwise made. But DeDe and I bonded like I’ve never bonded with another dog, or cat, or even human. Our complicated relationship was filled with the struggle to keep her healthy, combined with her infectious joy. Six months later, I still miss her terribly. « Wordless Wednesday- Happy July 4th! Our family dog, Cleo, passed away in 2012, and for a year after she died we’d still find her toys she liked to hide. She never ate rawhides but loved to hide them, so we’d buy them for her and find them all over the house. More recently my dad was cleaning his closet out and we found in a corner her stuffed lion that she loved to sleep next to. A year ago it would have made us cry, but now we can smiled and remember her fondly. You never really get over losing a pet, ever. But with time sometimes it gets a little easier or you just learn how to deal with it better. True, it does get better. But some days it doesn’t feel that way. Sometimes the only consolation out there is to know that there are many of us who have been there, or are currently feeling this way. My husband and I both still grieve for dogs and cats that passed years ago. People too. I’m not sure we ever fill those holes in our hearts. We move on, but nothing takes their places. No, and I’d never want another to take DeDe’s place. I agree… I can’t believe that it was six months ago, it still feels like yesterday. Seems some things not even time can heal. I miss her too and I’m thankful for every post featuring your wonderful girl (wear a smile to be beautiful). DeDe had so much to teach us all. WE know all too well how you feel. It hits you when your guard is down and yopu have to go through it all over again. As you know we’ve had our share here and we want you to know we have been praying for you and we are so sorry about DeDe…. hopefully she has met Trevor and Hallie and all our other collies and they play together as they wait for us…God Bless You! I’m so sorry for the pain you still feel, but I do understand it. It took over a year for us to be able to talk about our previous dog without our eyes welling up with tears. 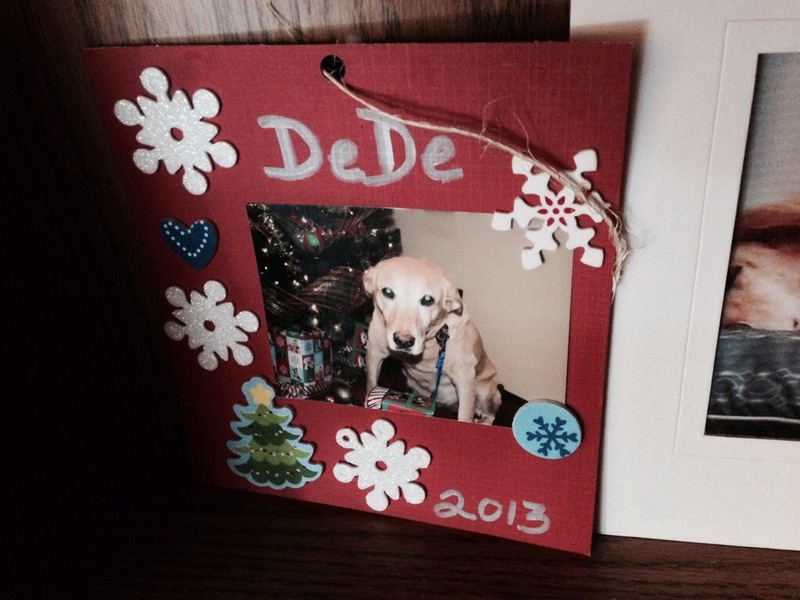 The special bond you all shared with Dede is clearly felt by all of you, humans and animals alike. Those little reminders of their special place in our lives always seem to crop up, but over time your tears will be replaced with warm smiles….though I know you’ll always miss her in your heart. Our hugs and healing thoughts go out to you. It’s hard to explain to those that don’t know what it’s like, but those of us that do know, understand. Your love for DeDe touches me right where my own wounds for lost loved ones, including pets, lives. To suffer over love lost, this is the best kind of suffering, for who would not want to have known such a deep love? I send this out to you and DeDe, in memory of Clare, who passed away from enlarged heart, and showed me more love than I ever imagined a cat could. Six months is not a long time especially for a friend that lived in the same house with you. The routines are different and the interactions are different but you have sweet wonderful memories. Thinking of you. I just had a surprise cry over Namir on the anniversary of his passing, which was five years ago. Sometimes you get caught in a cycle you can’t let go, but sometimes it’s just love and that’s totally normal. Sending you hugs, purrs, prayers and thoughts of comfort, Jenny. People who have never bonded with an animal can never understand how painful it is to lose one you love. It’s been about a year since my husband and I lost our first dog as a couple. He died extremely unexpectedly before he even turned 2. Kaeto was leash reactive and I still start to change directions when I see another dog, even though mine are extremely sociable. I feel a pang in my gut when we see the food we used to get him. He was so picky! I could go on and on about it. It’s amazing how much these dogs not only affect our lives, but our other pets as well. I know exactly what you are talking about. Sometimes you are going along and think you’re doing fine, and then it hits you again. We lost our beagle just over 4 months ago and just a couple weeks ago I had a really tough spell of missing him. I guess that is how grief can be….it comes and goes. Heck, I can still have a spell of missing my dog Maggie who has been gone for 10 years now. Some dogs I think you just never get over, especially when they are so special like DeDe was for you. There is no time limit on how long grief will last, or, how you deal with it! Everyone goes through their emotions differently. Like for example: my mom passed away in November 2011 after battling ALS;( From the very minute she passed on, I never cried or showed any type of emotion, my dad on the other hand, showed the “typical” grief one goes through when losing a spouse, child, patent, sibling and/or family pet(s). I made all the arrangements, since I could talk w/out breaking down. I had already made peace with the fact she was going to pass away in 5 years at the most. I think the first time I truly broke down was last spring or summer. My depression was getting worse, and my mom was always the one I talked to since she battled it too. So celebrate life with your furry friends that are within arms reach of you! And, if, or when, you finally feel up to adopting another dog or cat from the humane society or animal rescue local place, you’ll truly be happy to know DeDe is smiling down from heaven, knowing she’ll never be replaced, but another dog or cat has made room in your heart and home. 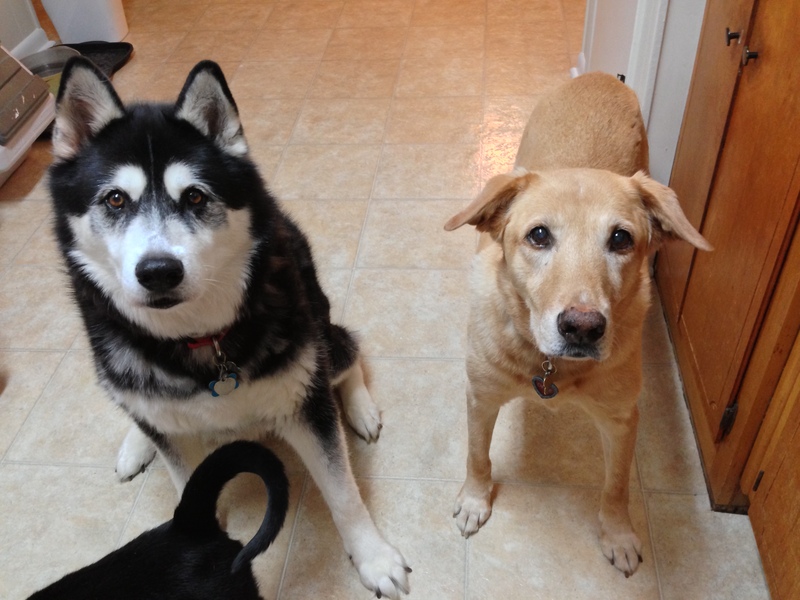 My husband and I got married six years ago last Thursday (July 3rd) a month after our wedding we had to let my husky/lab cross Gabrielle go. She had developed a seizure disorder and the cluster seizures she kept having made her suffer terribly. Now every year on our anniversary we remember her, but in truth there isn’t a day that has gone by since then that I haven’t missed her terribly. Our home is filled with dogs, but Gabrielle will always be missed and thoughts of her still bring a tear to my eye six years after she left us. Of course you still miss her. She was your baby dog or not that changes nothing. It is their routine and quirks that bring up the most memories. I am sorry you lost someone so special to you. I understand completely where you are coming from. They are important to you to. She was beautiful. She was a sweet face …the grief always lingers but it gets softer as time goes by as you will realize she is happy now as she was then. Sending a kiss for her. We just had to put our 12-year-old miniature poodle, Cinnamon, down as she’d gotten to where she was having trouble walking and breathing. Turns out she’d had cancer – there was huge tumor covering most of her abdomen. We didn’t even know about it until we took her to the vet that final time. That was Feb. 21. Almost 5 months ago. We still miss her, we don’t dwell on it so much anymore. Once it a while something will trigger a memory or thought, and the feeling gets stronger. Like the other day, I was watching a dog agility competition on tv, and found myself thinking that it would have been fun to have taught her how to do weaves, and I found myself missing her again. Meez so sowwy fuw yous loss. Mommy sez yous nevew get ovew it. Yous just eventually leawn tu liv fwu it. Made me cry to read this. I cannot believe it is almost 6 months. How does time go by so quickly when it seems to have stopped in our hearts? I look at DeDe and I see my Daisy. I know someday soon I will be where you are. It makes me sad to think DeDe is gone because she was so much a part of you and your blog. I don’t think any one of us will ever forget DeDe. Wishing you a bit of peace today Jen. Oh no, so sorry to hear that DeDe went on to the Rainbow Bridge. Doggie hug to you and Rumpy. Take care. It’s hard to get past losing someone you love, but it’s good to have the memories of them. One of our dogs, Penny, a Lhasa Apso, was to me like DeDe was to you, so special in so many ways. I love all my dogs but Penny is the one that stood out over all of them. We lost her four years ago to cancer and I still miss her when I think about her, and still shed the odd tear over her. On the advice of a friend, I made a scrapbook of her life and found it very therapeutic in coming to terms with my loss. Reminders are all around us of our loved ones not now here, but you will learn to come to terms with your loss and look at these reminders with a smile at the memory it brings back to you. It doesn’t get better. It just gets different. I still have items belonging to my furry-ones stored away, and encountering them and stray hairs still makes me smile, and cry, along with the memories and love that endures. I still mourn the loss of my first Scottie in 1978. I think about her every day. I have had 10 other since then and it is not the same as the relationship I had with her. Beautiful post .. Thinking of you. I know your anguish, Jen. My parents and I put our German shepherd to sleep in 1985 and we still think and talk about that dog! I now have to prepare myself for the inevitable demise of my current dog who just turned 12. We’re taking better care of him than we did of that older dog; mainly because now, we know what to do and what to expect when caring for animals. I feel you Jen! I miss my boy every day. When dad picked me up from the airport today he said “Oskar has been doing great”, and immediately had to correct himself because it is Mazie that had been staying with them. Five years later and he is still that much with all of us. It’s not that I don’t love all my other kids, but he was so “that” dog. Sending you hugs and understanding. I totally understand, they are such big parts of our lives, but its always the small things that we remember and miss. I remember hysterically crying in Sears the December after we lost Rocky, because they had a display photo that looked just like him, and I couldn’t keep it together. I hope all of your wonderful memories comfort you in times of grief. Of course you miss her and there is no reason what so ever you should have moved on and anyway who tells you such doesn’t understand dogs or grief. You will miss Dee Dee forever but you will welcome eother animals into your life to love. The more things we love the bigger the heart grows. head. . . all 85 pounds of her! I miss her terribly! Jen, I totally understand how you feel…..kevin was not just a dog to me…the day he left, I couldn’t walk….stand up….whenever I remember the scene he left us….still tears come to my eyes….but I believe that Kevin is still here….people might think that I’m crazy but I think he is still here to protect us….sometimes he might feel jealous of cats…….We miss DeDe, too….she wants you to be happy in your life….she loves you, so your happiness is the best gift for DeDe…..
Poor sweet DeDe. I don’t blame you one bit for still missing her, as I am sure you always will. The reminders of can sometimes be the worst thing or the best thing. It is great to be reminded of the good times we have had with our loved ones, but it also stirs up those feelings again. Jenn, Rumpy and gang — no matter the time passing — there is always a piece of your heart missing. You cannot rush through the complete transition and all its phases — it has its own time. Some days out of the blue, the memories pop up that are more meaningful than others; therefore a tad more poignant. Her spirit is still with you — as mine are with me. The consolation for me — is no more pain, no more worries and plenty of wiggling bliss going on over the Rainbow. I still grieve over my childhood dog I had 42 years ago. I’m sorry you’re feeling DeDe’s loss. But I’m so glad for the wonderful memories you have of her and for the friendship that affected everyone in your family. Ah, Jen, how wrenching to hear the heartbreak in your blog today. There is no such thing as “s/he was just a dog.” Saying it (or hearing it from someone else) only increases the grief. Some sorrows take longer than others to heal, and you know they will not be completely healed. I have a true story that happened to me regarding life after death (with a cat). When I post it on my blog in the next few weeks, I’ll let you know so you can read it if you wish and perhaps gain comfort. Ling Ling, Oreo and Tilly Tot’s mom. This morning when I got up, I could have sworn I saw DeDe lying on the floor beside me. She’s still here in my heart. So glad Rumpy and Bubba are close. We have granny here for a bit – she’s getting frail with age, but fearlessly confronts Molly – although in a much more still and quiet fashion. We think the German will miss Granny someday – they are great comforts and friends to each other when humans aren’t around ..it’s a secret, but we know. i’m sorry for your loss … that ‘its just an animal’ philosophy is a cultural lie for sure. animals open our human hearts in ways that humans sometimes cannot. i think the ‘pet parent’ concept is on the rise though and things are slowly changing for the better. peace to you and your furry family as you walk out the journey. There is no time limit on how long we grieve for a member of our family. DeDe was certainly family. She was a sweet dog with a lot of good advice. I never met her and I miss her.